Thanks for all who participated and thanks to Olfa for the great prize! Congratulations to Emily! I'll be emailing you. Olfa is celebrating 35 years of creating rotary cutters! 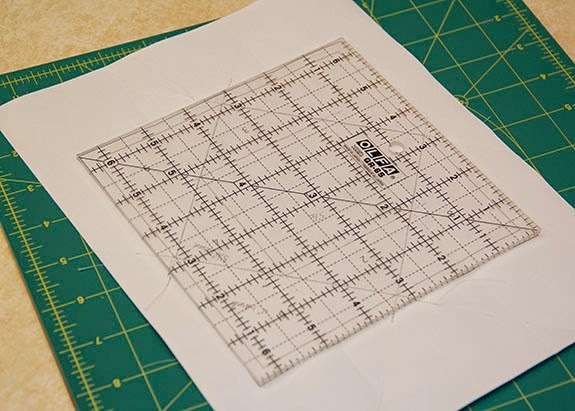 I think most of you could agree that this tool is one of the primary quilting supplies you'd never want to do without. 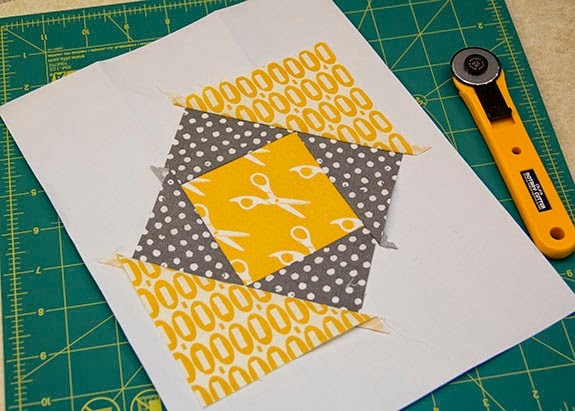 To celebrate this anniversary, Olfa asked me to participate in a fun project to create a quilt celebrating Olfa rotary cutters. 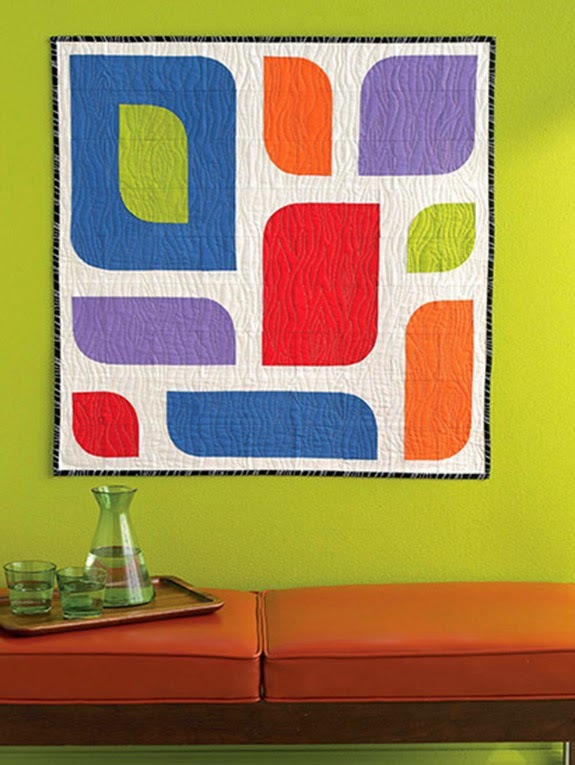 I received a supply kit to create a 6" quilt block. These blocks will be sewn together into a quilt for display at the Fall Market in Houston. Olfa sent me a 6.5" frosted ruler, 28mm rotary cutter and a rotating mat. 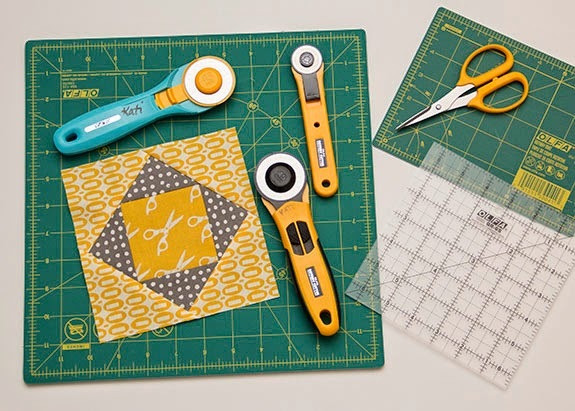 Ironically, I've been eyeing a revolving mat and smaller rotary cutter for some time. I was so excited to open the package. 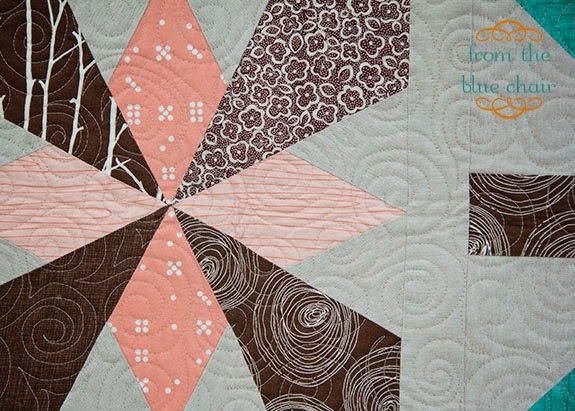 After much debate I opted to make an economy block for send in for the display quilt. 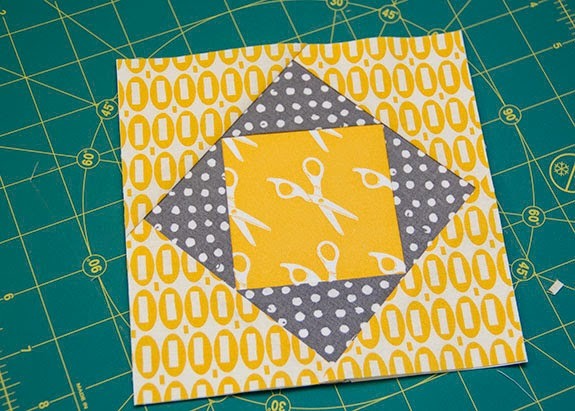 The only two requirements for the block were a 6.5" unfinished block with some yellow fabric. 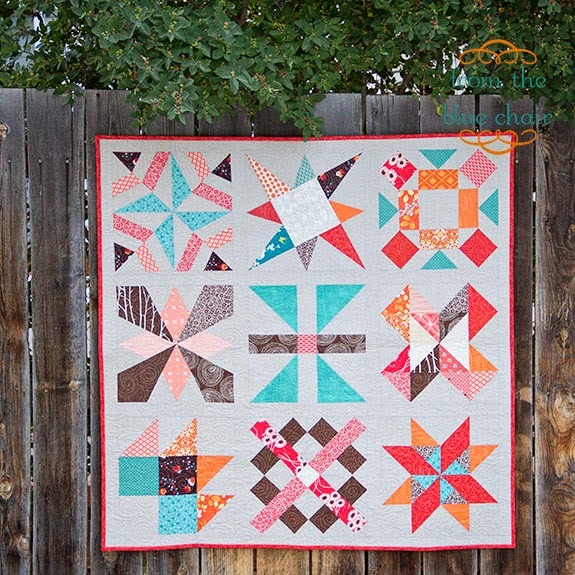 Rita's tutorial over at Red Pepper Quilts is fantastic for this block, but her pattern is for a 5.5" unfinished block. I redesigned it in Photoshop for the correct size. I chose to paper piece this project to ensure it was as perfect as possible. I kept my fabric choices simple. This was the perfect project to test out my new rotating mat. It works perfectly! I loved the Olfa frosted ruler when trimming my block. 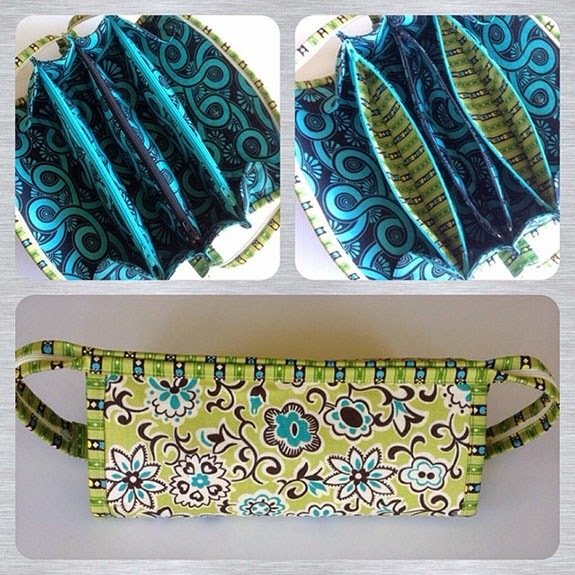 It didn't slip on fabric when trimming seams or the paper when trimming the back..
Just a few of my favorite Olfa products that I use nearly every day! 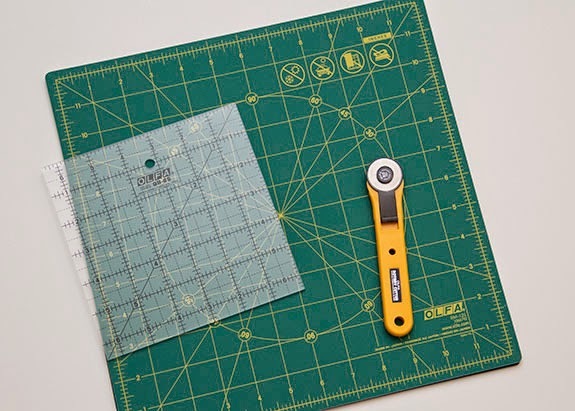 Olfa has offered to send one reader a new rotary cutter and a small cutting mat. 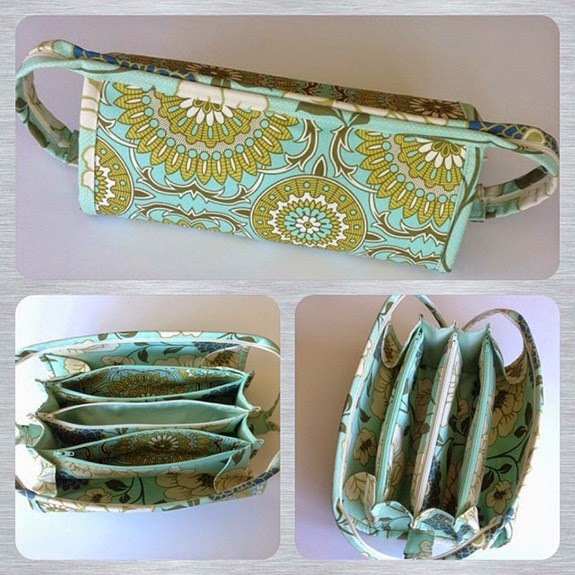 Leave a comment telling us your favorite sewing tool, and Mr. Random will choose a winner on Friday! Please include your email if your comment if it is not linked to your profile. Disclosure: I received the above mentioned products in conjunction with this post. The giveaway is sponsored by Olfa. 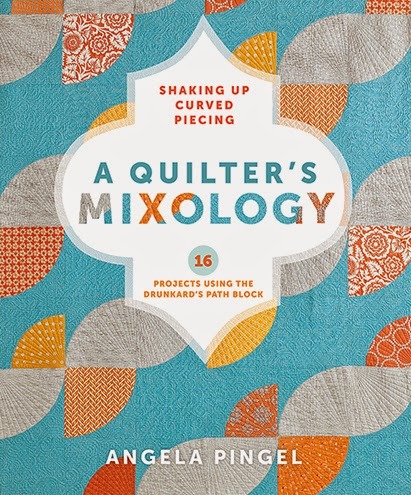 It's time to announce the winner of a copy of Angela Pingel's book A Quilter's Mixology! 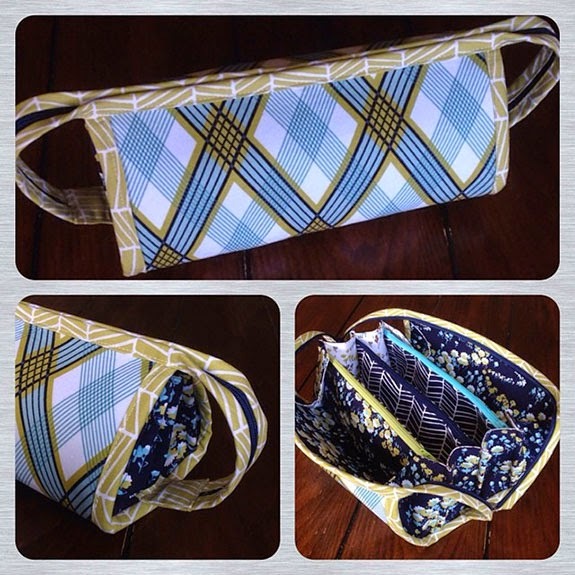 I'll be sending you an email to collect your info for Interweave. This will be the final round for a while. 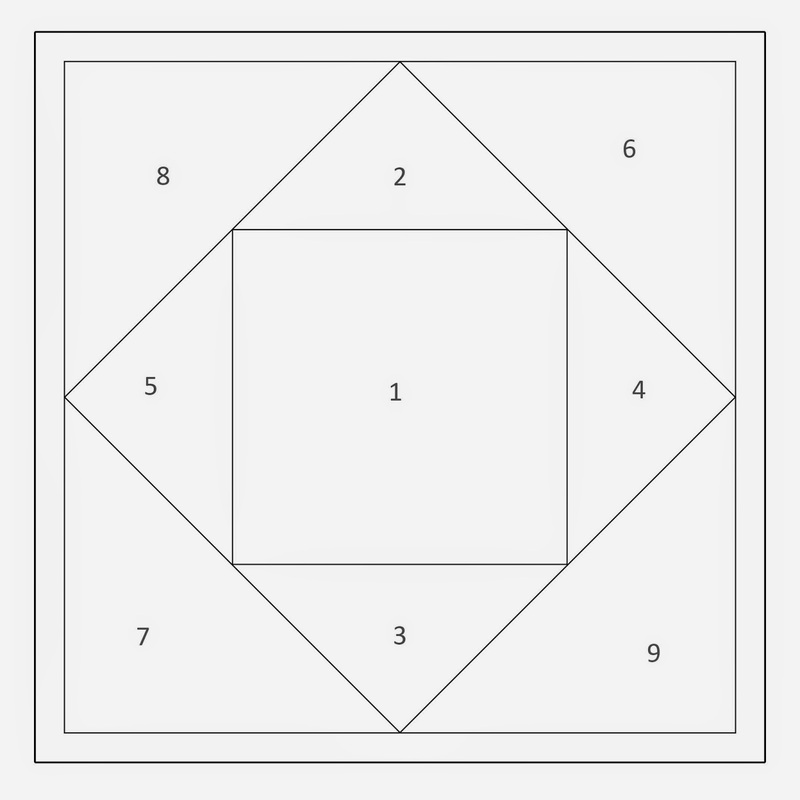 I've now made nine. I actually still have more cut out and ready to sew, but I think I'll be taking a break from making these. It's been so fun giving this bag to teachers. They really are a great gift. This one is my favorite! 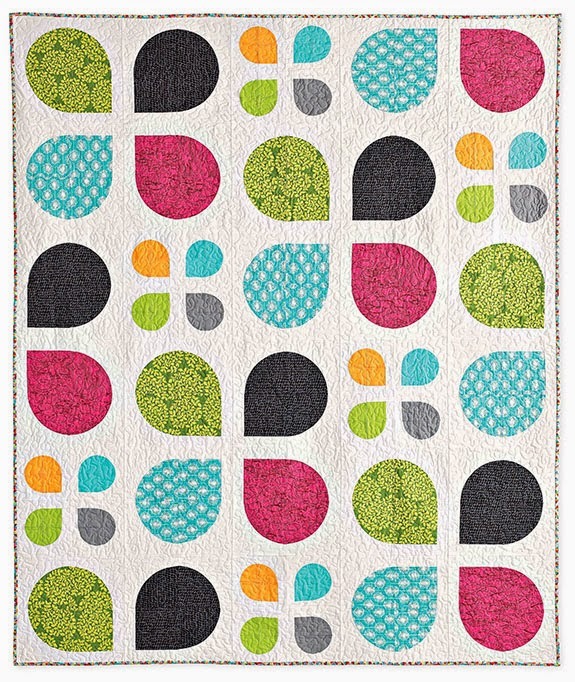 I love this colorway of Modern Meadow. I used up nearly all my scraps cutting out two bags. That's all for now. I promise! 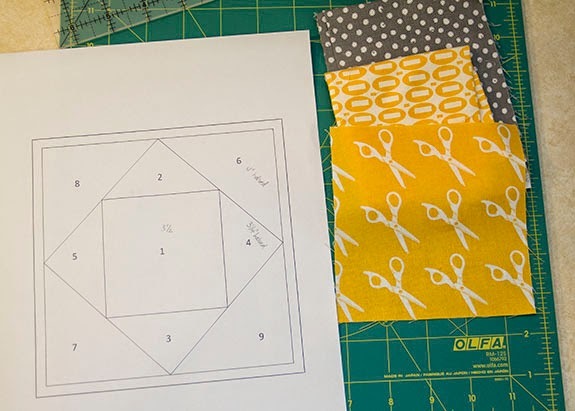 I've often said that I don't do all of this sewing stuff for the resulting quilts. 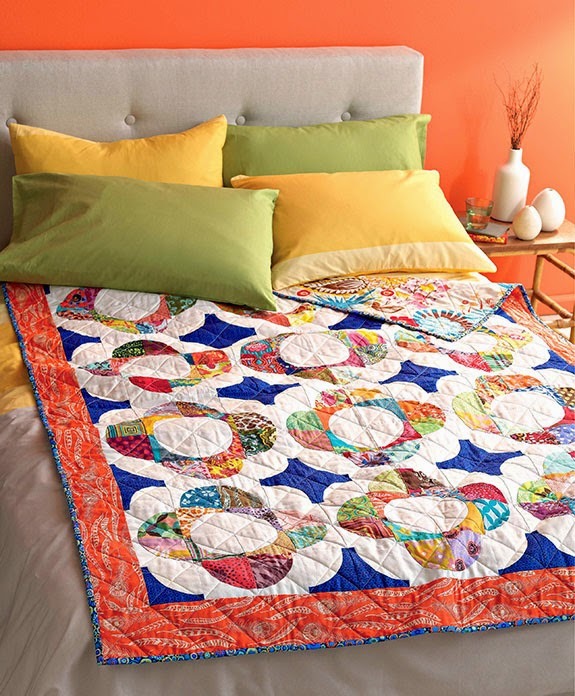 In fact many of those quilts end in a box until I decide I can part with them and give them away or sell them. I love to create. I love cutting all that fabric up and making something that wasn't there before--something that another person will never make make exactly the same. 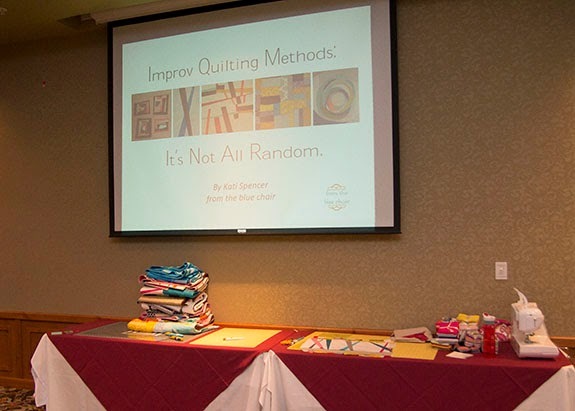 I shared the following Ted talk in my Improv Quilting class. I found this particular talk so inspiring when it comes to creating, and sometimes destroying my projects. I've thrown projects in the trash before because they weren't turning out as I hoped, but at the same time, I've always learned so much from those discarded projects. 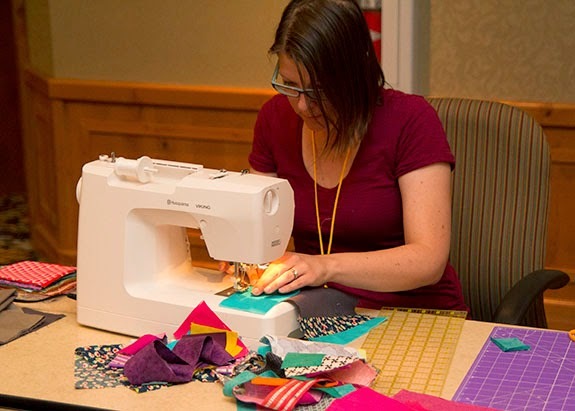 Quilting and creating isn't about having the most fabric or the best equipment; it's about doing something you love with what you have at that moment. I needed a creative boost today and watched this talk again while the kiddos were in quiet time. I've felt extremely uncreative lately with few ideas or projects in my head. I'm not sure if it's the craziness of the summer or my lack of down time since the kids are home all day, but I haven't felt like creating at all. I needed to watch this to remind me why I do all of this. I hope this inspires you as it has me! I have embedded the talk in this post, but some programs don't recognize embedded videos. If you are having trouble viewing the video see the direct link: Embrace the Shake, by Phil Hansen. 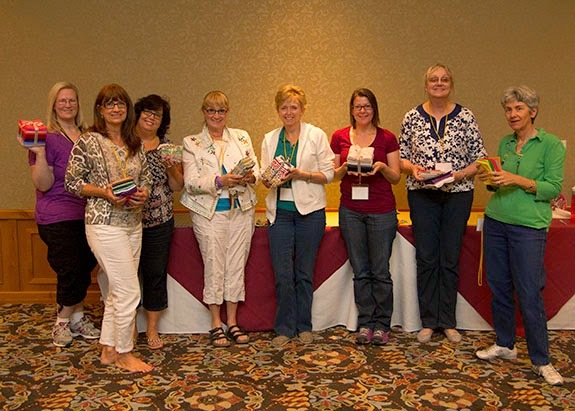 A couple weekends ago I had the opportunity of teaching a great group of women at the Small Town Quilt Show in Midway, Utah. 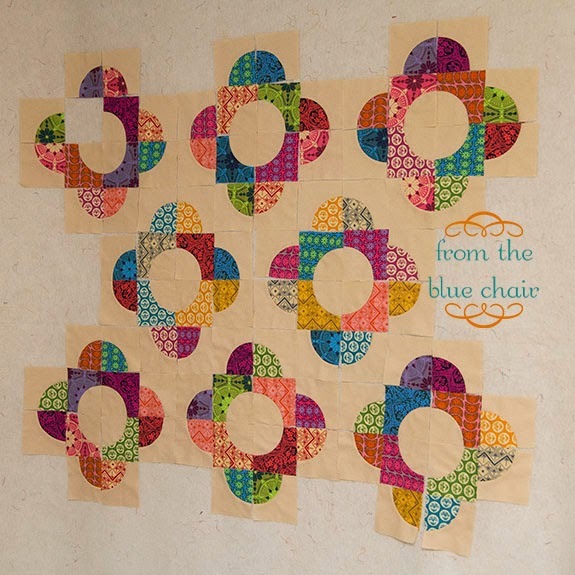 I taught Improv Piecing, which I love. 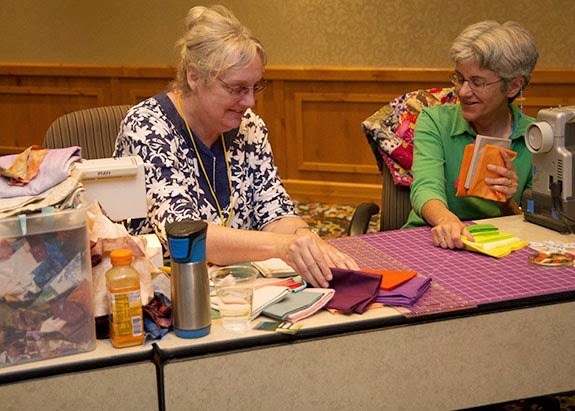 I especially enjoyed the chance to teach this class locally for me as that meant bringing more quilts to share in person. After teaching this class a couple times now, I'm learning many things to improve the class. I'm not sure I'll have another opportunity to teach this again, but I would love to have the chance. Luckily, my laptop played nicely with the projector. My little netbook is OLD and slow. I was worried it might not handle things well, but it all worked out. 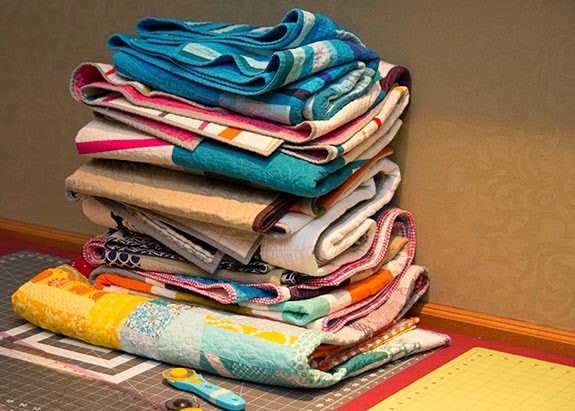 I filled a suitcase full of quilts. 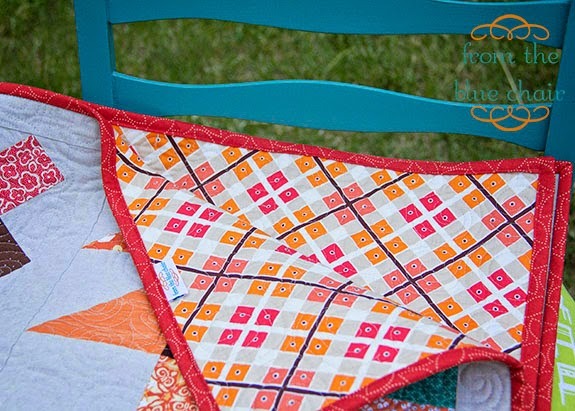 I included pictures of all my quilts in my presentation, but quilts are always so much better in person. 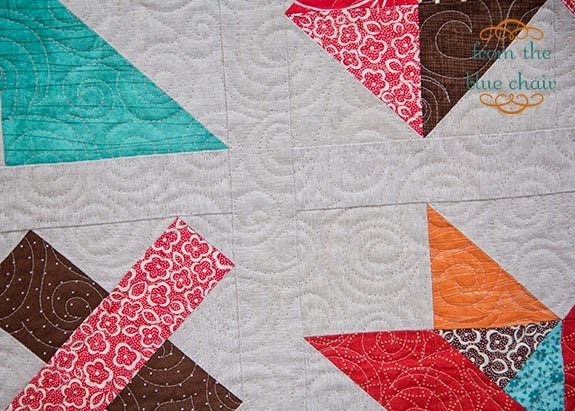 Working away on improv piecing. 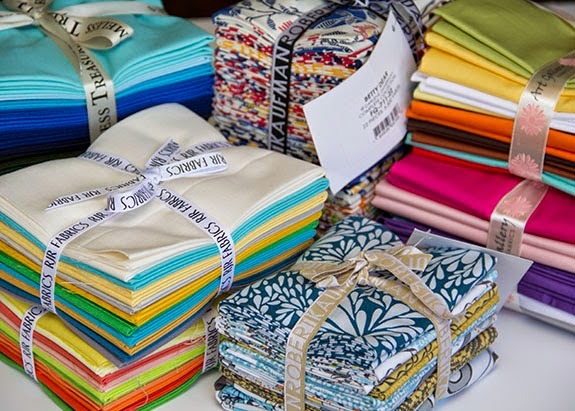 On a whim I asked a few fabric companies to donate "small" bundles to giveaway in my class. And did they ever come through! Robert Kaufman, Art Gallery, RJR Fabrics and Timeless Treasures each sent a few bundles for me to giveaway during my class. I still have one or two bundles left over which I'll be giving away in the next week or two. Check out my Instagram feed later today! I'll be giving away one bundle on there. 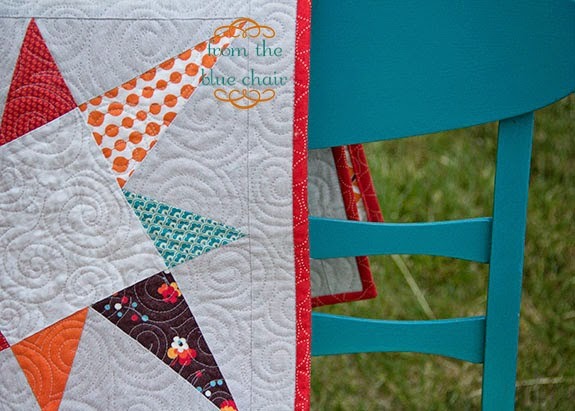 I'll be sharing another fabric giveaway here on the blog next week. The winners with their prizes!